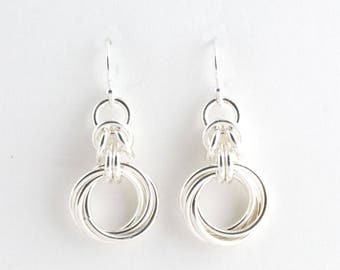 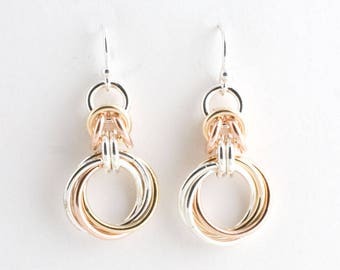 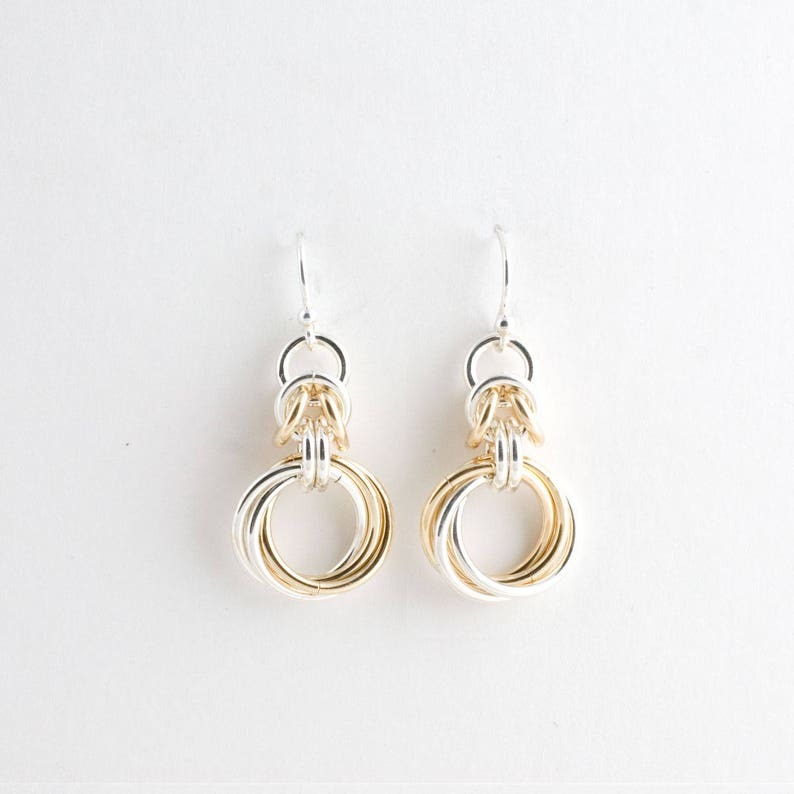 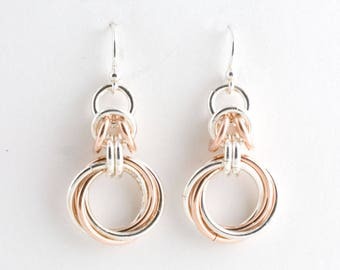 Simple and elegant, these earrings use a partial segment of the byzantine weave with a spiral of infinity love knot jump rings. 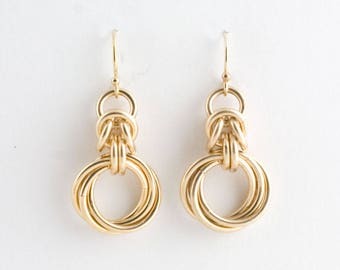 This is sometimes called the wedding knot, infinity circle, or love knot. 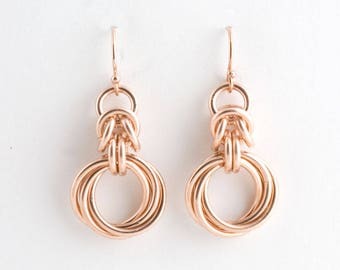 The last photo is for sizing reference, and may not reflect the color or finish of the actual product in this listing.